This page was created about 1998, and many "lowcountry" Raysor researchers have participated over the years. I am trying to update contact information and links, as well as make this site a little more mobile friendly. If you find a bad email address or broken link, please let me know! I believe the next challenges for Raysor researchers is to establish firm connections with the Raysors of Pennsylvania, and African American Raysors in lowcountry South Carolina. PLEASE NOTE: In July 2017, we heard rumors that the the Ancestry.com product, RootsWeb Freepages, was affected by a security breach. As of February 3, 2018, it looks probable that RootsWeb will be discontinued. It will take awhile. While I am merging the two sites, you may find some pages down. and daughter of Michael Raysor, Sr.? 2017: I have heard from a Raysor - Boyett researcher, Brenda Antal ( bjantal@cfl.rr.com ) , whose research indicates that a Hannah Raysor married Josiah Boyett around 1788. Hannah and Josiah Boyett had children in Barnwell County, South Carolina. Hannah Raysor is mentioned by a witness in a Barnwell County Court Case in 1855. This is a place primarily for the exchange of information on the Raysor surname and the descendants of Michael Raysor, Jr. and Eleanor Risher. However, there is little doubt that land plats in the Colleton and Charleston Districts of South Carolina as early as 1786 mention our Michael Raysor, also spelled Rasor and Razor. It is very likely that the S.C. Raysors are distantly related to the early Pennsylvania Raysors. 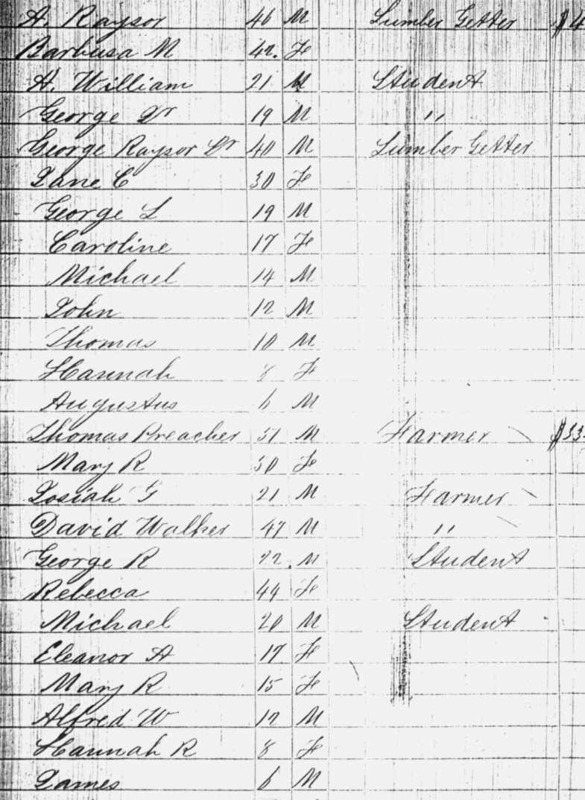 "Michel Razor" appears in the 1790 Census index for Charleston District, St. Bartholomew's Parish, South Carolina. Michael Raysor's tavern appears on an 1824 map of the area. Abstracts of some early documents are on this page. The names of Michael and Eleanor Raysor's children are linked below to a brief outline of each family group. Please scroll down the page for much more information & photographs. b. Colleton District, SC; m. Elizabeth Sophia Chalmers; he died August 7, 1845 in Randolph County, Georgia. (Elizabeth returned to Colleton County SC with the children). b. December 23, 1797, Colleton District, SC; married (1st) Hannah Stokes; married (2nd) Mary Ayer; he died January 14, 1858 in Barnwell County, South Carolina. b. Nov. 22, 1801 in Colleton County; married Barbara Mary Inabinet; they migrated to Jefferson County Florida between 1850-1860. According to a published obituary, he died Nov. 27, 1874 in Jefferson Co., FL. b. September 15, 1806; m. David Walker. 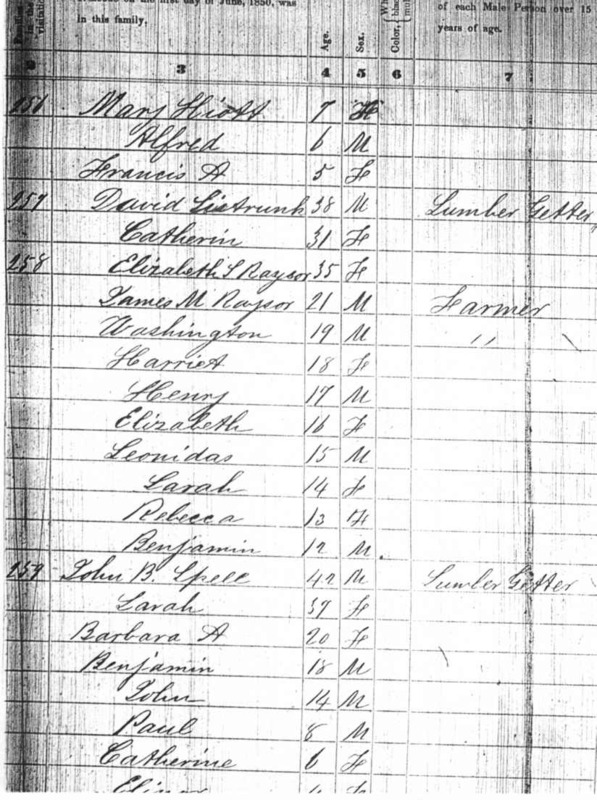 They appear with their children in the Colleton County, SC census of 1850, and approximately 1854, they migrated to Jefferson County, Florida. b. July 19, 1808; m. 1st Anne Sisson Stokes and, 2nd, Jane Stokes Walker (sister of Anne); he died in South Carolina. b. May 23, 1812 in Colleton District; m. Mary Ann Walker; they migrated to Jefferson County, Florida in 1846; he died in Jefferson County, Florida on September 10, 1863. If you are a descendant, or if you have information or old photos to share, we welcome your participation! NOTE: RAYSOR FAMILY GATHERING is a private group of researchers not affiliated with any organization. We appreciate the free web space provided by RootsWeb/Ancestry.Com. NOTE: I have included some information about African American Raysors who lived in "Lowcountry" South Carolina. Your information would be welcome here. Untangling the Colleton County SC/Jefferson Co FL WALKERS! Below is not a link, but I want to keep the information at hand. David Bryan is one of our original researchers here at Raysor Family Gathering. Our original RAYSOR list on RootsWeb/Ancestry.Com is no longer active. However, at this time (October 2015) you may access the RAYSOR-L ARCHIVES HERE. I still host the Bamberg, Colleton, and Dorchester County SCGenWeb sites. Visit anytime! Many THANKS to family members who have contributed to this page, and a very special thank you to my grandmother's cousin, the late Frank Wannamaker Raysor, who made an enormous contribution to Raysor family genealogy! I hope he's pleased with our continued efforts to reconstruct and preserve Raysor family history. The Raysor message board/and email list at RootsWeb has been closed by Ancestry.Com. If any descendants of Michael and Eleanor Risher Raysor would be interested, I'm thinking of creating a Raysor Research Facebook page.